My Embroidery World: William Morris re-visited! Yet to be framed. 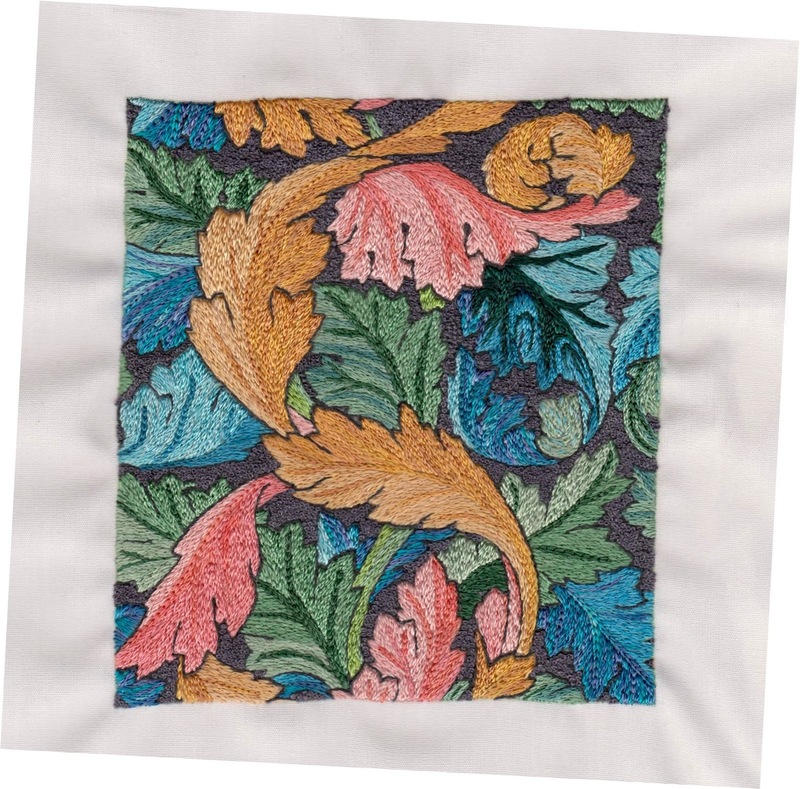 I have just finished stitching this piece of William Morris's achanthus leaves. I began by printing the image on treated fabric, then after rinsing in water & ironing on the wrong side to fix the ink, I worked the leaves in Split back stitch in a rayon thread, using 1 strand. This is one of my favourite Morris pieces & I aim to do more of them. Currently I am working on a Celtic tree so watch this space!! !